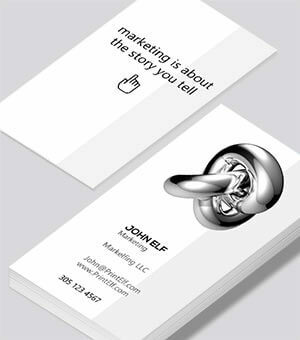 Naturally, a well-designed business card should be part of your marketing strategy. No matter how you twist it, it’s a valuable tool. No app or device can takes its place. 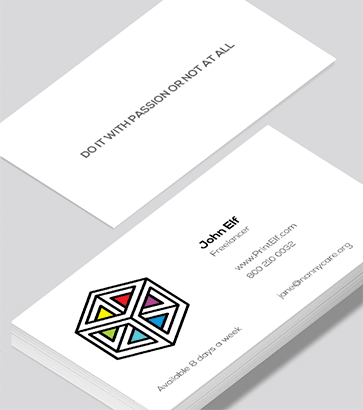 Read our blog, "Who should have a business card". Use our online printing services for cost effective marketing solutions. 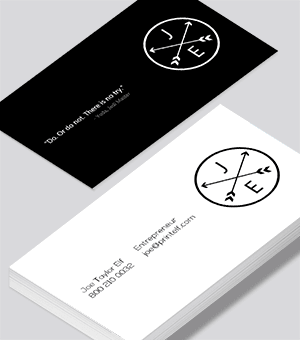 What’s a good business card? Since a well-designed logo makes you look more serious, why not get started by checking our ever expanding collection of designs. Each template features a unique logo, so be free to mix and match. As a freelancer you have a vision and a talent for your vocation. Make sure a design “talks to you” AND your potential client. 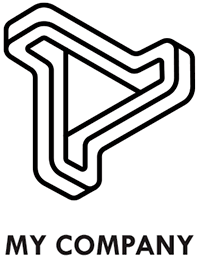 If you already have a logo make sure to upload it as a PNG file. JPG works fine too but will not allow you to define transparent areas which is important when overlaying graphics. We highly suggest 16pt paper. It’s just the right balance between too thin and too thick. Too thin feels flimsy and cheap. Too thick and you’ll have a hard time managing the large stack of business cards you bring along to your next conference. Splurge a bit by going silk. We start with our premium paper and coat it with a silk laminate. Some even like to add a second coat of spot UV (gloss) to give a rich polished look. Plastic might be another alternative. Perfect for the dive instructor, programmer, florist or anybody trying to look different. Consider customizing your design when attending an important event. For example, write “We met at comdex” (comdex being the event). That way, people will make a mental connection where you met. The extra cost could pay off well. It’s especially easy when utilizing our online designer. Save a design in different versions for later use or customization. Also, print a smaller batch for such an event and you won’t break the piggybank. This can be an investment well worth. For instance, it’s hard to find a pre-designed logo with your initials. Or, you might have a special color scheme you would like to follow. Our professional designers are ready to help you, or, you might know a freelance designer happy to help you. Don’t over-think your design. Go with your intuition, and, get it done! Procrastination is your worst enemy. Don’t go to a meeting or event with the excuse “my business cards are about to be printed”. Freelancers are entrepreneurs. Show your spirit with a matching design. 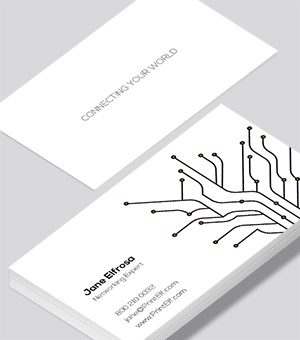 Have a look at the sample corporate business card. 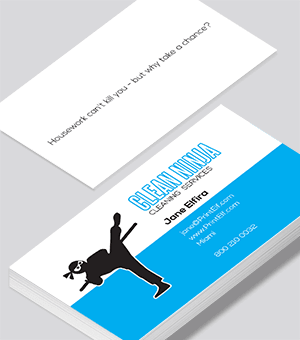 Or maybe as a teacher you prefer the tutor business card. Feel free to peruse all our exciting free business card designs.